As a young student I was always interested in Computer Science (CS), however, at that time, I was not in an environment that provided sufficient exposure to technology. We were taught how to turn on a laptop, open a web browser, and how to write and save a Word document. It was only until after I started high school, that CS and other programming classes were available. 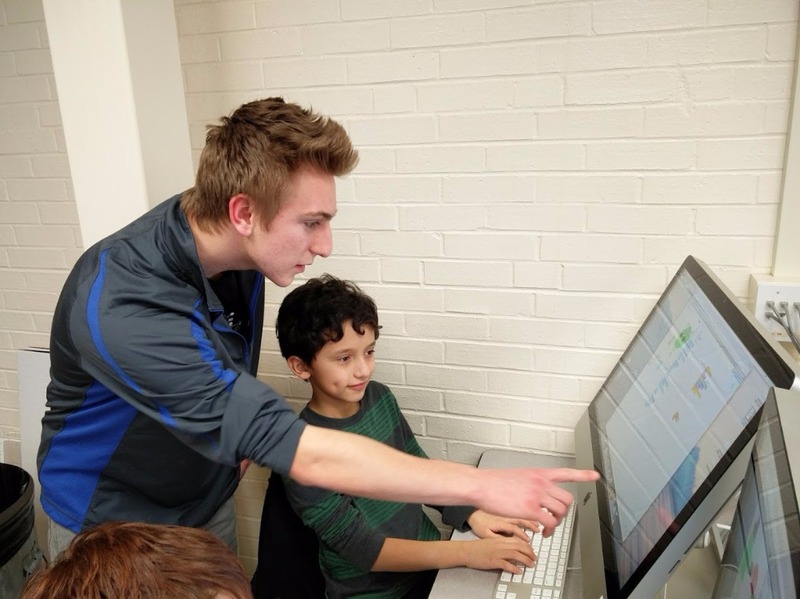 Upon reflection, I realized the need to develop an after school program, “Coding for Kids”, with other LTHS students who shared my vision of CS Education. But I knew we could not stop there. 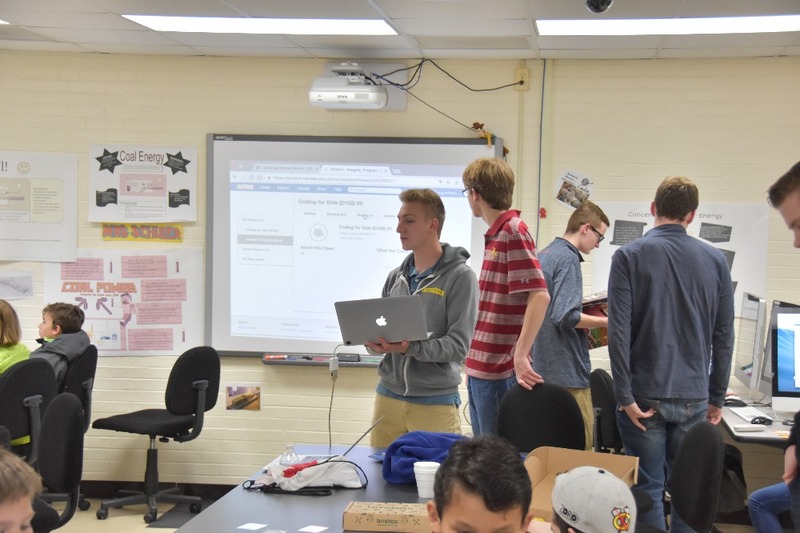 The coding class was established at Park Jr. High and was an immediate success for our first group of kids. Initially, thirty-five students were selected, leaving many unable to attend. I sought a solution to include as many kids as possible and I was made aware of a new approach called BitsBox. This monthly coding kit, designed to teach basic computer concepts and keyboarding skills would bring a CS learning opportunity to the families in our area lacking financial resources. BitsBox charges a monthly fee for its valuable service and the purpose of this GoFundMe campaign is to raise funds for this educational opportunity. The cost of each kit starts at $25 per month. Every following month, a new kit with new activities, games and programs can be delivered to eager CS beginners. I am asking for $1,000 to set up an initial distribution program in our community so that young minds can be brought into the coding world inspiring, learning, communication, and a drive for personal success for kids who are too often left out of these beneficial educational resources. With the the initial goal of 1,000, I want to sponsor 10 kids ($25/month) with a monthly BitsBox for a total of 4 months. If we surpass this goal we will increase that starting number of 10 kids. I believe members of the community will benefit in the long run from supporting this program that offers educational opportunities, financial assistance and moral encouragement to those who need it. While currently, this campaign is non-tax deductible it is an important step towards preparing all of our youth for the challenges that they will face. Only those who are prepared will succeed. 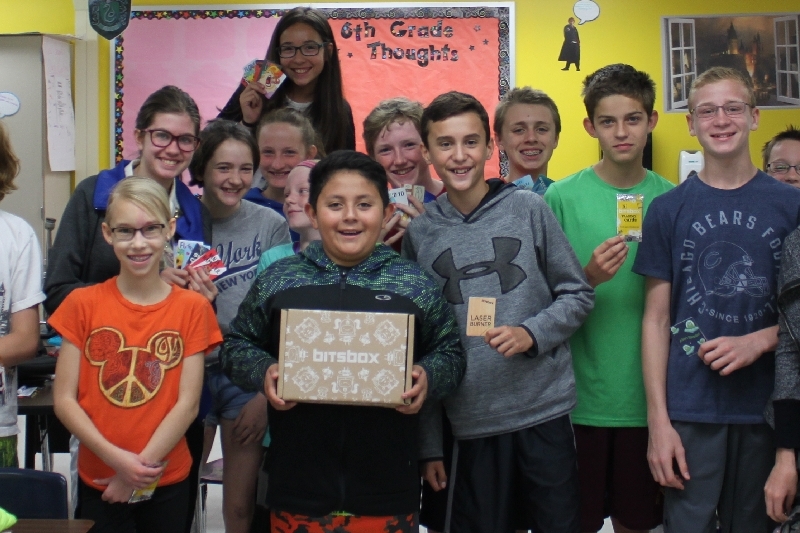 Bitsbox teaches kids to code by delivering insanely fun app-building projects in the mail every month. Kids code their projects on the Bitsbox website and their apps work on any device with a web browser. Initially, the plan is to buy BitsBox kits to put into the homes of financially challenged families in our surrounding communities. The distribution process is still TBD but I will be in contact with several community organizations to determine a game plan. I will update this page once we establish the family selection and distribution process. Wait. Do I pay a monthly fee to this campaign? No, your donation is a one time gift to the children of our community that will be used to kick start coding for kids who need the financial support. Bitsbox is designed for kids 6-14 years in age. How they engage with it will depend on their age. What do kids need to use it? A computer with a web browser (Google Chrome is our favorite.) Bitsbox works inside a webpage. No complex tools to download and install. No worries about managing files. It's all in the cloud. And though it's theoretically possible for kids to do Bitsbox on a tablet, we'd recommend using a machine with a physical keyboard. When the kids create a coding account, they will get a virtual tablet. Kids learn by copying code into a little text editor next to their tablet, which in turn runs their new apps. Once they're written, Bitsbox apps run on most any mobile device. They can be shared via an email, text message, QR code, or a web link. But truly the best way to understand it is to visit the BitsBox homepage and try it yourself. But how does the kid know what to type? BitsBox provide piles of new coding projects every month. These aren't structured lessons. They're creative play that the kids choose to do. Not so long ago, copying code from books and magazines was a common way to learn programming, and it worked great. To learn more about BitsBox click here . 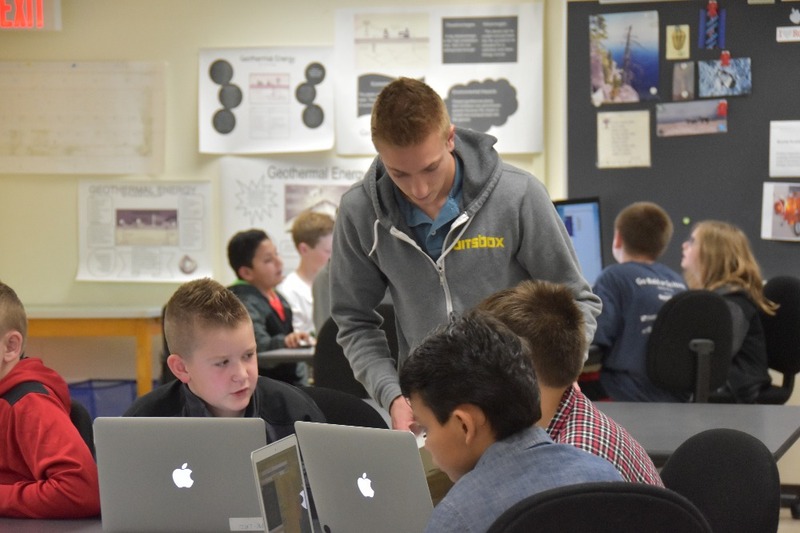 August Domanchuk teaching "Coding for Kids" at Park Jr. High. After viewing our options for an order format we decided to increase our order size to impact more kids. The order was placed for x30 Bitsboxes (for one month) that will be distributed to the schools and then to the individual students in need. Additionally, x2 orders of x30 Booklets that include dozens of programs and activities in each book, essentially, increasing our impact by sixty kids. Finally, we used the remaining funds to order x6 x30 packs of Coding Trading Cards, which in turn increases our impact by 180 kids. These Coding Trading Cards are a great little coding jump starter for the kids and can have a huge impact for their value. We plan on letting the schools/individual teachers determine how they are distributed. We also might use some of these as prizes or handouts for our summer programs and for next year's programming club community events. Instead of focusing on those 22 individual boxes for two months, we increased that to 30 kids sponsored for one month. This way, the schools will receive a ton of resources and booklets to use in their classrooms, libraries and for the kids to take home. Moreover, the schools can now reuse these resources and continue to impact even more students over time. Your support is meaningful and much appreciated! Without it, hundreds of kids would not have access to a program that will open young minds and develop creativity. Bit by Bit we are building futures and preparing students for the world ahead. We will send an update with pictures/videos when the boxes arrive! We want to thank you all for the continued support of the Bit By Bit program. We have decided to work with District 102 for this initial trial period. Instead of sponsoring an individual child for a certain number of months we will be donating the BitsBoxes to schools in D102. 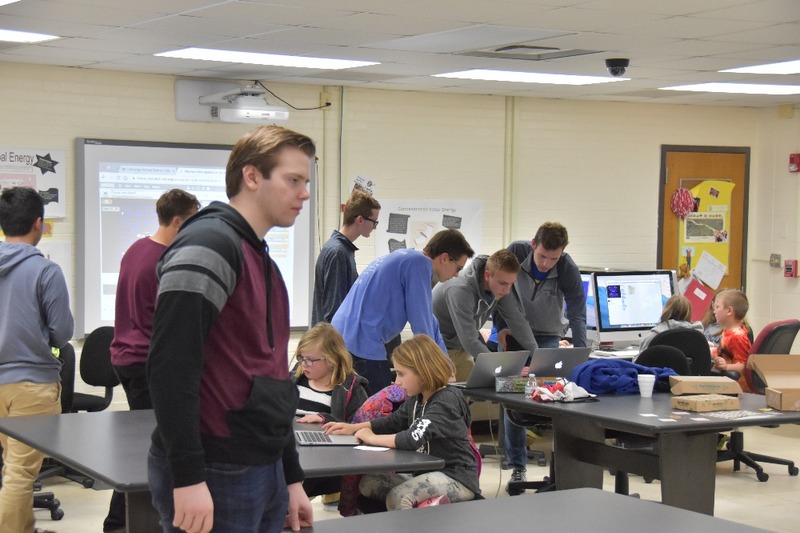 Each individual school will choose a certain number of financially applicable students that have shown an interest in computer science to receive the Coding Care Package. With our current funding we can order 22 BitsBoxes for 2 months and drop them off at the schools. For the first month, 22 boxes will be dropped off at the elementary schools for students to use during this last month of school, the next month we will receive a BitsBox with more programs and activities for the kids that we will drop off as well. This format allows us to ensure that the Boxes will be maintained and checked in and out of the individual schools and it will allow the coding kits to be reused to impact even more kids! The schools also have the ability to expand their BitsBox booklets and order new programs for them if there is a need in the future. If we receive additional funding in the next few days we plan on purchasing packets of "BitsBox Trading Cards" that we will hand out to some of the kids to peak their interest. These coding cards are a great way of introducing computer science to kids with little to no programming experience. They simply open up their pack of programs and log on to the BitsBox website and start trying out the activities and programs on the back of the cards. I'd like to purchase at least 10 or more of these packs and allow the schools/teachers to decide which students receive the cards. I will submit the May shipment information on the 20th so that we can get the Boxes in the hands of many eager kids before summer begins! Thanks again for everyone's support and please pass along information about the Bit By Bit program in the next few days so we can reach our goal by the 20th! Coding for Kids: What we've been up to! Good luck! Great idea to help others. Awesome idea August. Go Clones! !